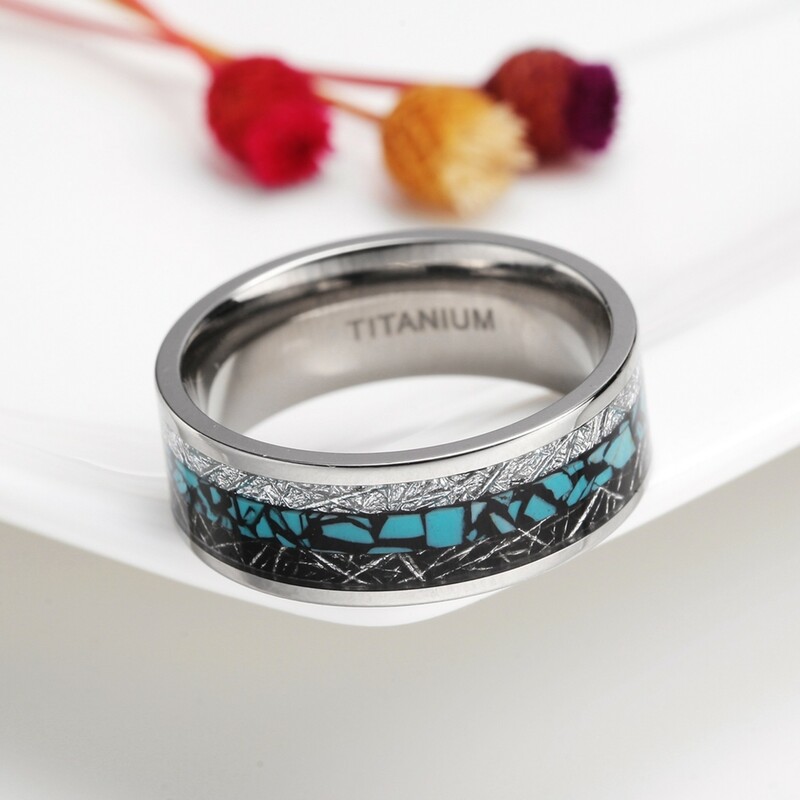 This turquoise imitated meteorite inlaid Titanium Ring is made of highly polished titanium, has a choice of 6mm and 8mm. 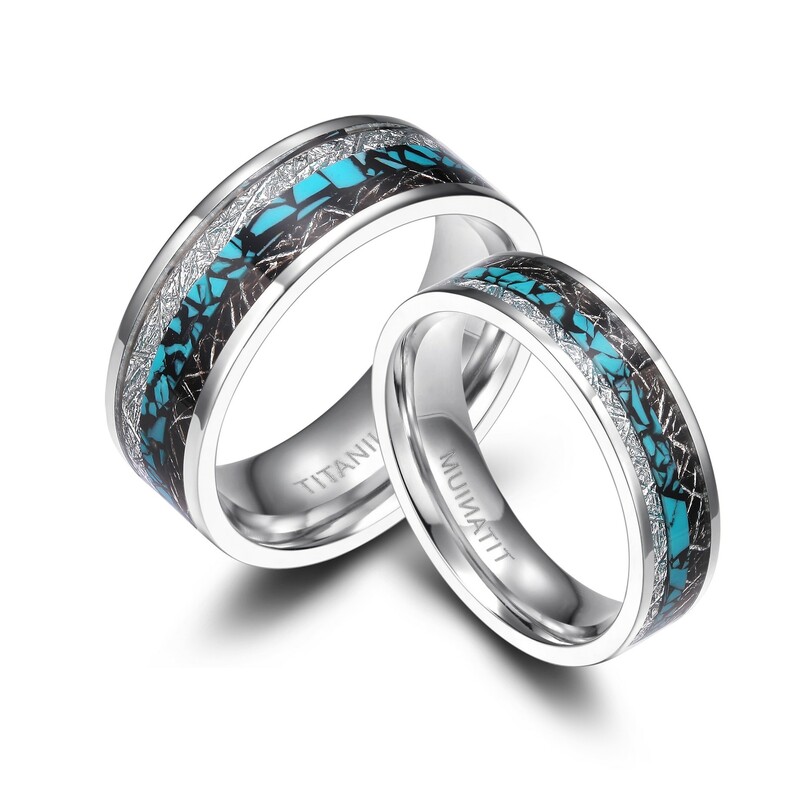 Turquoise is a symbol of warmth and vitality, of power and status. Meteorites emit subtle flashes of light when they hit the light, making it very impressive. 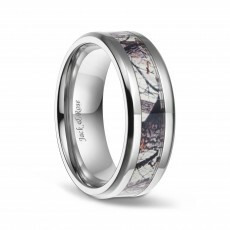 Best Christmas gift, birthday, anniversary, wedding, engagement, or valentine's day. 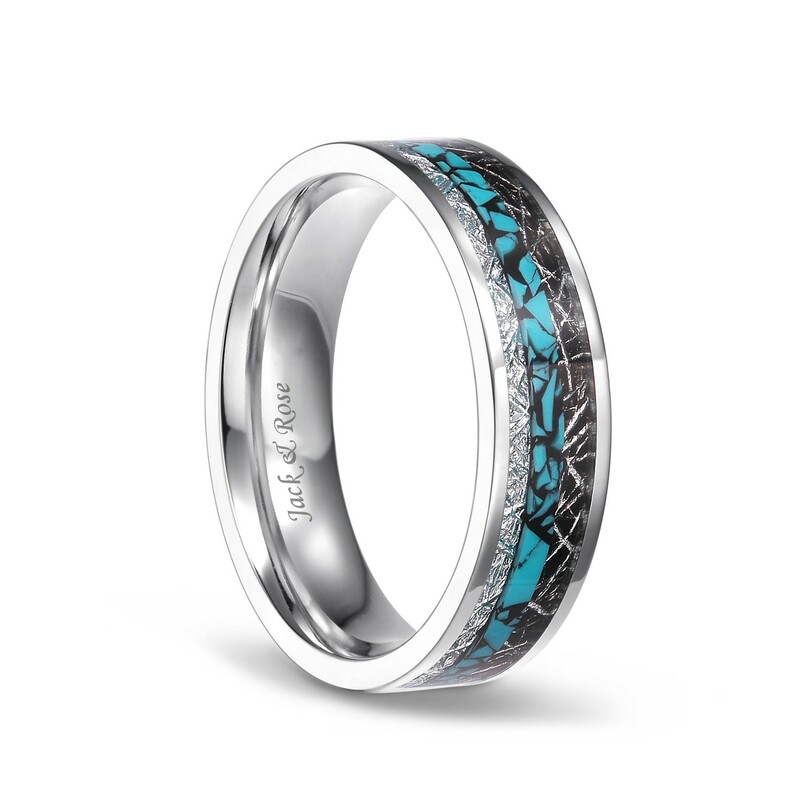 Ordered this ring for my husband to be and we both think it's stunning :). 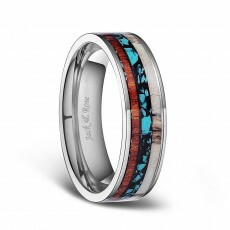 Perfect for an inexpensive alternative to a man's wedding band. 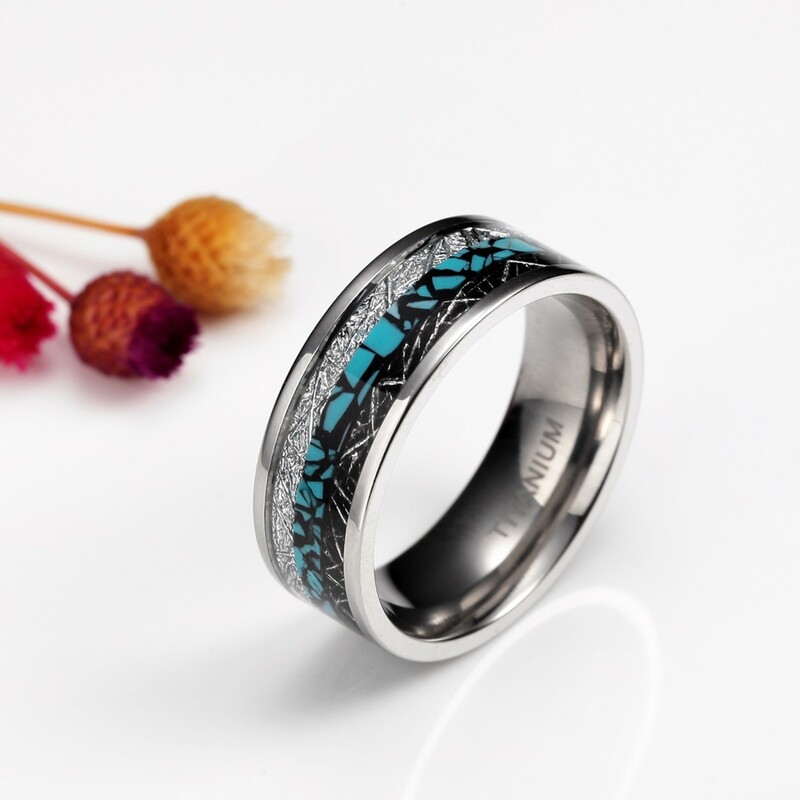 great ring. returning only because i ordered a size too large. I have not actually worn this ring at work or out and about because, I'm getting married soon. 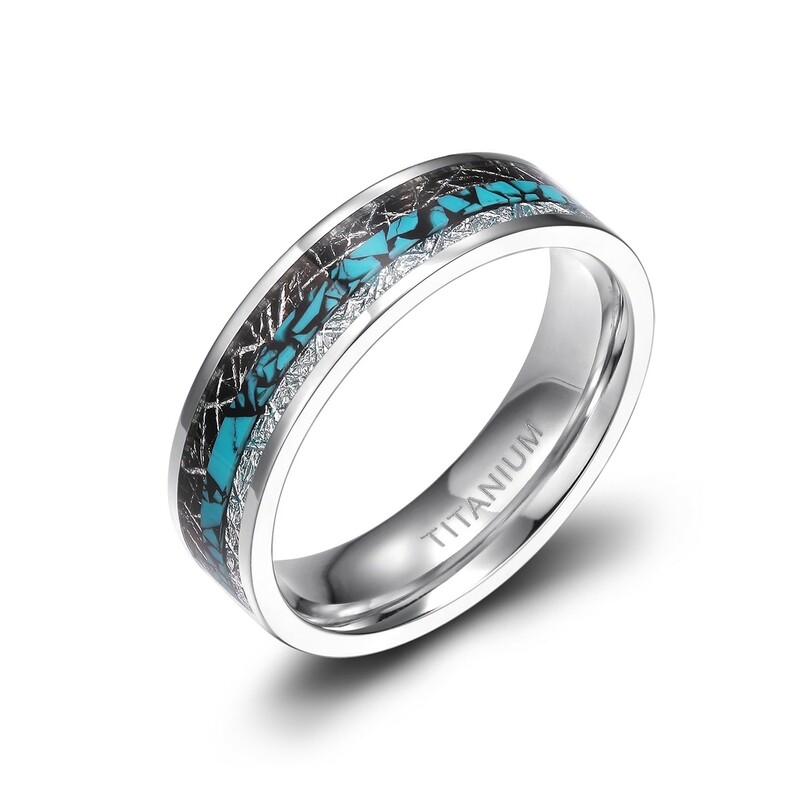 But this ring did come in fast and in a nice box. Upon opening the ring, I was surprised by the quality and the fact that it looks like my brothers wedding band that cost a lot more. I tried it on and it fit like a glove. 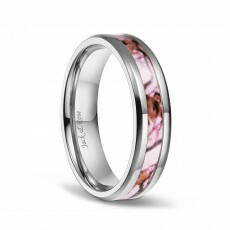 This ring is a great ring and anyone looking for a cost efficient or every day ring, this is a great alternative. Love my new ring. Absolutely gorgeous! Can’t neat the price!!! Very nice and looks awesome. I AM A MAN WITH LARGE HANDS. 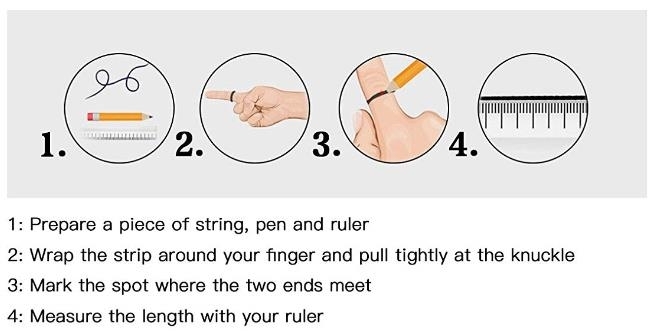 IT'S NOT EASY TO FIND A RING THAT FITS RIGHT. 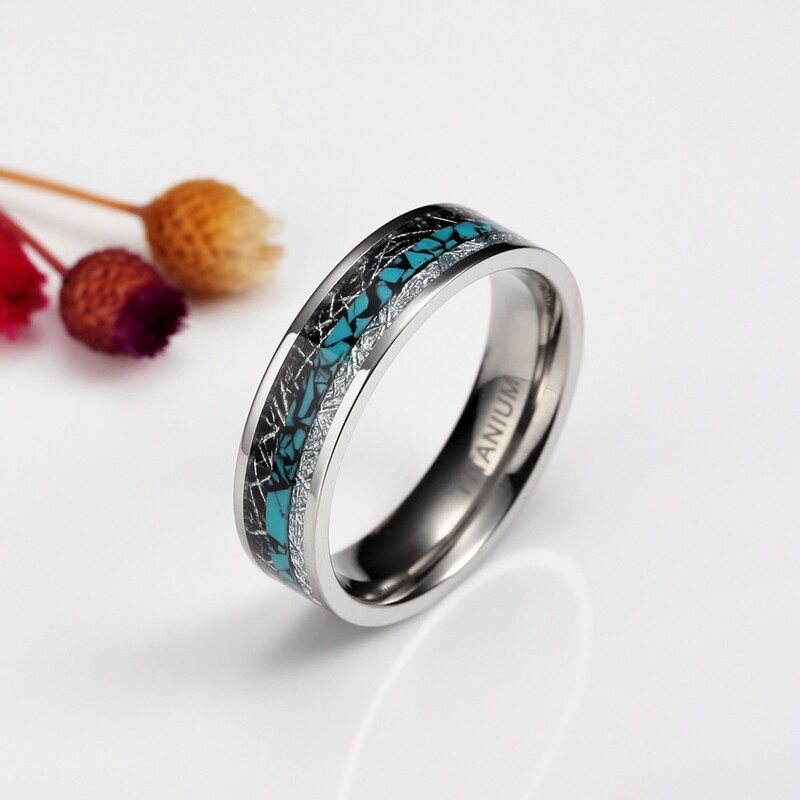 THIS BRILLIANT RING IS A PERFECT FIT. I WAS AMAZED HOW QUICKLY I GOT IT. BUT I AM MORE AMAZED AT HOW BEAUTIFUL THIS RING IS. I AM MORE THAN HAPPY! I am very happy with this purchase. The ring is beautiful and it looks amazing on my hand. My first wedding band was stolen serveral years ago, so I bought inexpensive replacements that I have never been happy with. With this purchase I am finally content.